Monday is an all new episode of Dancing With The Stars season 14 and we have some awesome SPOILERS for you. Don’t read further if you don’t want to know!!!!! On last week’s episode the theme was “Latin Night’ with Carlos Santana taking over the ballroom with performances of his classic hits. The remaining nine couples performed some great dances, but sadly we said goodbye to Gavin DeGraw & professional dancer, Karina Smirnoff last week. If you missed Gavin’s final performance you can see it HERE! On this week’s episode it is the ‘Motown Special’ honoring Motown’s greatest music. Motown Legends Smokey Robinson, The Temptations and Martha Reeves, as well as Australia’s number one Pop Vocal Group, Human Nature, will all perform on Monday night. The legends will kick off the episode performing a live Motown medley. 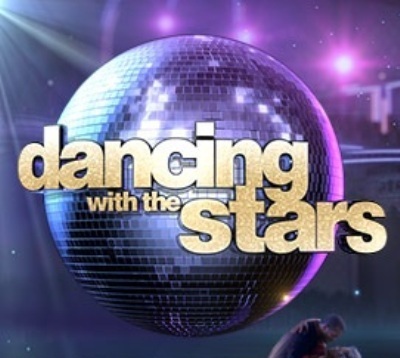 In a DWTS first, each artist will perform with the talented “DWTS” band and musical director Harold Wheeler before each of the remaining eight couples begin their competitive dance. Professional dancers, Anna Trebunskaya and Val Chmerkovskiy will dance as Smokey Robinson performs his hit song, “Tears of a Clown.” Joining in on the excitement is Human Nature, performing some of Motown’s most popular hits throughout the evening. The evening will end with a special Motown Dance Marathon, where the couples will be showing off their classic dance moves from the Motown era. On Tuesday night, the show will open with an amazing number from the Troupe; Val Chmerkovskiy, Peta Murgatroyd, Louis Van Amstel and Snejana Petrova, featuring a medley of Motown hit songs. Then we are in for a special treat when Grammy award winning R&B group Boyz II Men returns to the ballroom with an amazing performance singing their latest single, “One More Dance” off their landmark 20th anniversary album,” Twenty.” Their performance will be accompanied by Dmitry Chaplin and Anna Trebunskaya. This week’s “AT&T’s Spotlight Performance” spotlights the beautiful story of Michaela DePrince. Furthermore, “Macy’s Stars of Dance” featuring dance company Shaping Sound doing a classical performance and “AT&T’S Spotlight Performance” spotlighting a performance from Michaela DePrince. Looking ahead, in week seven the theme will be “classical”. By the end of Tuesday evening, one couple will be eliminated, as determined by a combination of the judges’ scores and viewers’ votes on dances performed on Monday’s performance show. Who will be the next dancing couple to leave the ballroom? Make sure to stop by Monday April 23rd and Tuesday April 34th when we will be live blogging both the performance episode, live videos and Results show of Dancing with the Stars. Meanwhile, for everything DWTS go HERE!